State visit season is starting to wind down for now, but there are a still a few visits kicking around. One with a tiara watch, even, and you know we'll take all of those we can get. First up, we're back in Bhutan! 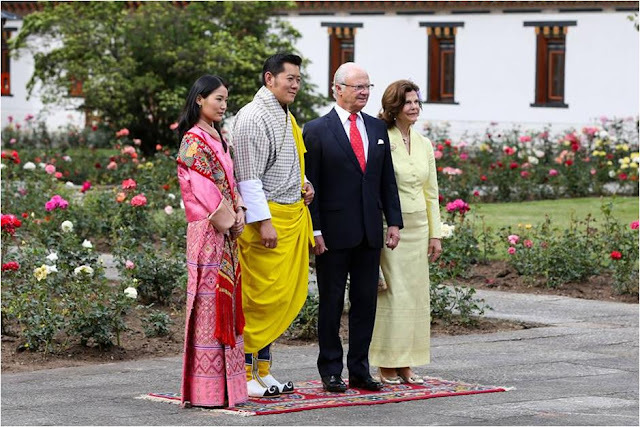 The King and Queen of Sweden are on a state visit, where they were received by the King and Queen of Bhutan. I like what Queen Silvia's done here, if you can tear your eyes away from Jetsun Pema, resplendent in her pinks. Silvia's respecting the location by lengthening her skirt, but otherwise sticking with something that would normally be a part of her wardrobe. A classy way to go about it. I'd expect no less. 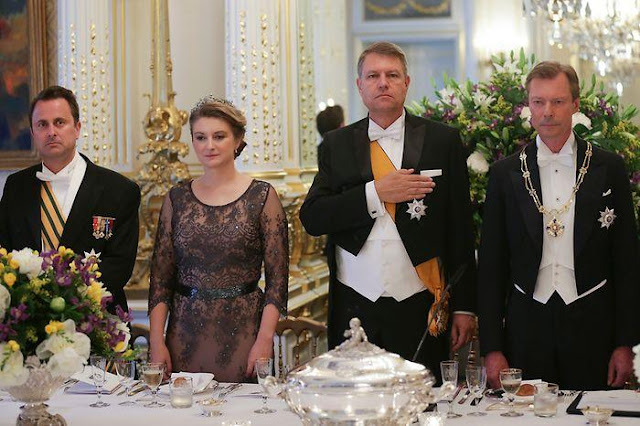 Back in Europe, Luxembourg's grand ducal family welcomed the President and First Lady of Romania for a state visit. The Grand Duchess had to pull out of the visit at the last minute for unspecified family reasons, so the Hereditary Grand Duchess held court as the visit's top royal lady.